At the last City Council Meeting on 11/14/17, there were items on the Agenda to have discussion and action about negotiating effort to establish a contract between our City and MCVFD. One or more of the Council Members in addition to the Mayor are working on a possible contract for fire prevention services. I have already retrieved the information that I needed from MCVFD as of Wednesday, November 15, 2017. I am hoping to accomplish this within a very short timeframe. My contract version may not agree with the other Council Members or even with MCVFD. For those wondering what is wrong with what was written in 2016. I do not believe it is matter of importance to focus on pointing fingers. After a meeting with Commissioner Bailey last Thursday, November 9, 2017 we reviewed a number of contracts dating back to 2001. There has been a number of changes with contracts and we decided as a collective that we need to improve our agreements. From my point of view, service providers may offer a variety of services. Maybe they hire more staff or add an additional item to service their client. Based on the original agreement signed November 15, 2016 there is nothing that indicates this type of information. So I am working on a simple idea for the Council to consider to hopefully present to MCVFD. And like with any contract agreement it takes two parties to agree. The MCVFD may very well reject it. And that is okay. They have to decide what is best for their business and we have to respect their decision. So far they are responding with me and I’m satisfied in working with them. Do we have fire protection service currently in our Fire District? As stated, the MCVFD is currently serving us until December 31, 2017. They were paid in full in January 2017. On Tuesday, November 14, 2017 at 9am there was a Commissioner’s Court Meeting where they had two items on the agenda. One of the items was about the updated Fire District Map. The second item was to discuss/act on rescinding the Court’s prior action regarding the one-year renewal agreement with the City of McLendon-Chisholm for fire protection services and approve the agreement with the McLendon-Chisholm Volunteer Fire Department at a cost of $16,875.00, and all related issues. Let me address the rescinding. Based on understanding our laws in relation to fire prevention safety and the meeting with Commissioner Bailey. There should have never been a contract between our city and the county for fire prevention services. They have to first rescind or void out the contract with our City, before they could have an agreement with MCVFD for the services they were previously asking the City of McLendon-Chisholm to provide. #1 We do not have a CITY OWNED FIRE DEPARTMENT. #2 We do not own FIRE PREVENTION EQUIPMENT. It just was not necessary for our City to contract with Rockwall County to provide fire prevention services. So therefore, Rockwall County should have ALWAYS been doing business with MCVFD directly. The County has that right to choose whom to do business with. Counties prefer to do business with municipalities with a city owned fire department, mainly because they have the revenue coming in from property taxes. Where as there are concerns of volunteer departments of any kind that may not have the funding to stay open or have the staffing. If in the future we do have our city owned fire department it would be appropriate to get into a future fire prevention service agreement with Rockwall County. Commissioner Dennis Bailey stated at a meeting that I had with him on Thursday, November 9, 2017 that we do have a mutual aid agreement with the surrounding Cities. • He agreed to share a copy of that document. • At the Commissioner’s Court at 9am on November 14, 2017. It was discussed and Commissioner Bailey said that he had not seen it. So it was his impression that we had one in writing. • Below is the chat that I had on November 14, 2017 with Commissioner Bailey. Let me encourage you that there is no fire department that neighbors us that wouldn’t come to our aid. There has been some sort of gentleman’s agreement for a very long time. These men and women who serve our communities have a servant’s heart. And I believe they will answer our call if there was ever such a need to arise. They did not choose this type of profession to stand from a distance. Remember, it wasn’t long ago that we had a natural disaster with a tornado. First responders from all over the County came to the rescue. They are the heroes that came with axes and God amazing courage when those who cried out for help in the middle of the night from the debris. When it is time to roll…they Go. So let us not live in fear. For fear often stands for, FALSE EVIDENCE APPEARING REAL. If you are interested in listening to the audio version of the Commissioner’s Court Meeting please click here. The other item was about reaching out to Rockwall County residents living in the unincorporated fire district regarding fire protection services and related matters. Last week, Council Member Scott Turnbull asked me about Go Fund Me and to help him set this up as a fundraising idea to present at the next meeting. I said yes! I really love this idea and took action. I want all to know that the following should be understood that we don’t have to do this. We wanted to do this. We would like to see MCVFD grow as a fire department. We are hoping to show that this is a good faith effort and good will efforts to offer solutions to help the MCVFD receive alternative funding. Will it work? Well, I do not know. Unless we try. And so I am encouraging all who are reading. 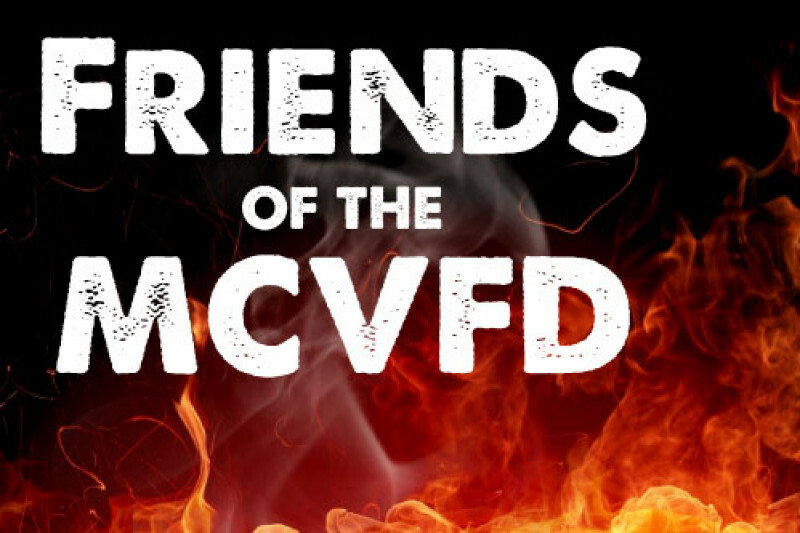 Let’s move forward and help support the MCVFD. To be transparent, I have already shared the link via Facebook to some of my neighbors in Sonoma Verde. Council Member Turnbull is going to share it with his neighbors in Kingsbridge. I would hope that this will spur a starting point of what we are willing to do for your volunteer fire department. Maybe the other Council Members will share it within their neck of the woods. Please be supportive in this endeavor. Maybe this could be a potential challenge with the surrounding neighborhoods. Kinda like a telethon, but a social mediathon. I will get these dates coordinated between me, Mr. Bailey and Mayor Steinhagen. a) How To Add Special Assessments to your CCRs/Bylaws with the HOAs in the Unincorporated Areas? We will invite those interested for a workshop that you can learn about the administration process and ultimately to determine if this is something that you would want to do with your membership. b) How To Form Your Own ESD? I would like to invite Commissioner Bailey as a guest speaker. Keep in mind this is just for information and/or a learning type of workshop. It will be an opportunity for the residents that live in the unincorporated area to determine IF this is something they want to pursue. Monthly voluntary donation by those who have RCH Accounts.